The North East Democratic Alliance (NEDA) convenor and Assam finance minister, Himanta Biswa Sarma on Wednesday reiterated the commitment of Bharatiya Janata Party (BJP) towards the passing of the Citizenship (Amendment) Bill, 2016 (CAB) despite the failure by the ruling BJP to place it in the just concluded Rajya Sabha on Wednesday. “The BJP is committed to pass the CAB bill and will fight Lok Sabha election keeping it in front. 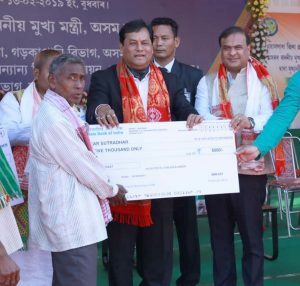 We will pass it and give permanency whenever we become majority in Rajya Sabha,” Himanta at Dudhnoi in Goalpara district of Assam on Wednesday. He further predicted that if the Bill is not passed, in the 2021 Assam Assembly election, at least 17 seats of middle and lower Assam will be occupied by the Bangladeshi Muslims. ‘Who will save the Assamese race then? Or a day will come when the Assamese civilization, language will be no where’, added the minister. Meanwhile, while commenting upon the schedule tribe status of the proposed six tribes, Sarma said that a modality is under preparation and once completed, will be submitted to the Central Government. “A modality is under preparation without harming the interest of the people who are already enjoying the ST status,” he said. 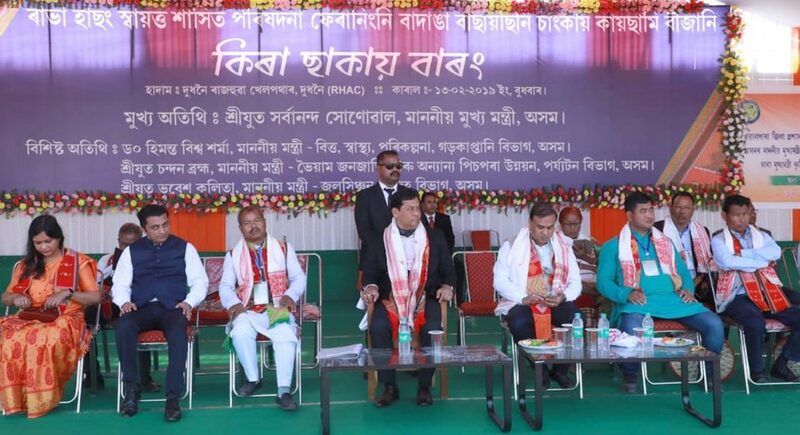 Both chief minister Sarbananda Sonowal and Himanta Biswa Sarma was participating in the oath taking ceremony of the newly elected members of the Rabha Hasong Autonomous Council on Wednesday at the Dudhnoi Public field.